Last edited by Ruthalas on Sat Nov 19, 2016 5:26 pm, edited 3 times in total. Re: Help a New Guy with His Z-Axis? Unable to Get Any Motion. Is your baud rate set correctly? download printrun and try to connect or in arduino IDE open the serial monitor (top right corner of the software). 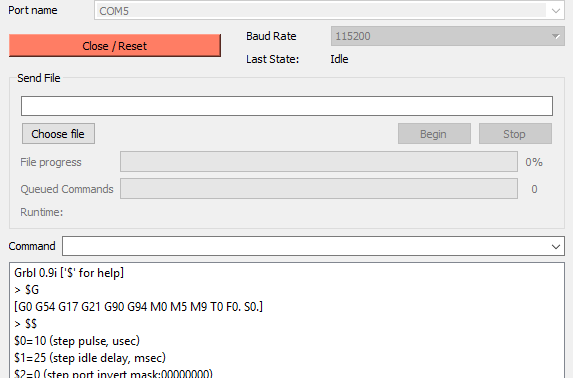 Go through the baud rates and figure out which one you have set. I am using 115200 as my baud rate, as recommended by the guide I am following. So I believe the baud rate is set correctly. I unsoldered the Easydriver board and wired it up separately and it worked. I am unsure if it is the custom board, or the fact that I am now powering the Easydriver separately that fixed it. I shall do some tests!